The person that when you drive a car in Japan, towards the resident, do not have a driver’s license in Japan outside of Japan, was consistent with the Geneva Convention and passport "international driver’s license" in required. If you be your rent a car in advance, not bring an international driver’s license and passport, you can not leasing. Was consistent with the Geneva Convention on "international driver’s license"
"Convention on International Road Traffic of 1949" has been referred to the Geneva Convention member countries issued the "international driver’s license." 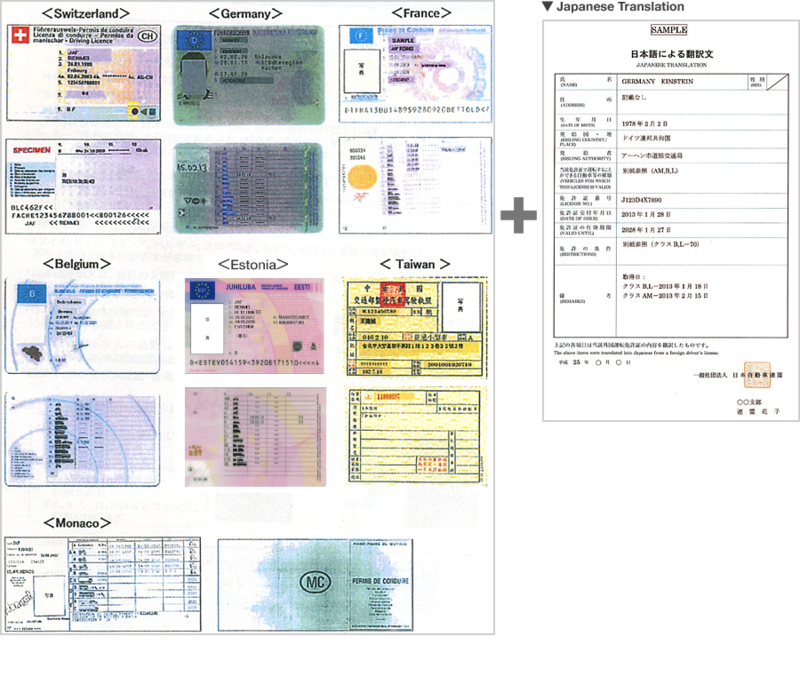 The Japanese translation and driver’s license is required if you have a driver’s license "Switzerland, Germany, France, Belgium, Slovenia, Monaco, Taiwan" of. Japanese translations, has applied and published by JAF or embassy or consulate of Japan. In JAF, after you apply, you can issue the Japanese translation in about 2 hours. The application of the Japanese translation, you need to go to the embassy or consulate beauty JAF. (Application by mail is also possible in this case) is also possible required documents if available, such as agent of a friend in Japan to apply. For more information, please contact the embassy or consulate and JAF.